Projector CAX - Eiko 12v. 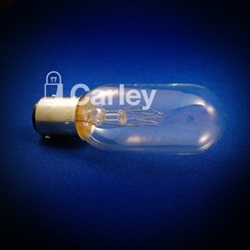 CAX bulb is manufactured by Eiko with an overall length of 79.4mm and a 1" diameter. T8 bulb shape with 130 volts and 50 watts and BA15D/DC Bayonet base.